Accessive - Canyons Partnership — Accessive, Inc.
Join our college readiness initiative! 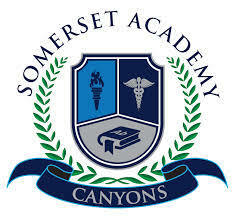 Somerset Academy Canyons is working with Accessive, Inc. to make top college-prep resources accessible to its students, parents, and faculty. Accessive provides face-to-face coaching along with online support covering all facets if the college admissions process, including personal statements, standardized tests, recommendation letters, and more! Together we hope to help you navigate the college admissions process by offering our unique, hands-on services to the Somerset Canyons community! Click here to view the updated Accessive-Canyons informational brochure!